Tanzanian beneficiary of kidogo kidogo’s phone drops. Photo courtesy of kidogo kidogo. One of the most important technological advances over the last quarter-century has been the advent of the low-cost mobile phone. This device has revolutionized not just communication but also banking, citizen engagement, and access to information for people worldwide. As fast as this technological revolution is spreading, mobile phone ownership is far from universal. Critical disparities exist. Two of the most significant are the gender gap and the urban-rural gap. According to existing research by the mWomen program at GSMA, women are 14 percent less likely to own a mobile phone than men in a low or middle-income country. The gap is even starker among rural women. This differential access is important in that it potentially reinforces or even worsens social inequality—a significant barrier to economic development. Women without low-cost access to information and communication are denied the agency and voice that come from mobile phone technology. Moreover, as mobile money platforms come to dominate personal banking in developing countries, unequal access of mobile phone technology denies women and the rural poor the potential financial security and inclusion that comes from mobile money. Despite the exponential spread of mobile phones and their power not only as an information and communications technology but as an instrument for access to financial services, there have been few randomized controlled trials (RCT) that rigorously assess the effects of mobile phone ownership. Dan Nielson of Brigham Young University, Flora Myamba of REPOA and I are undertaking one of the first RCTs in this field among women in low-income countries, with a focus on Tanzania. One big question we hope to answer with this research project—and that is directly connected to my other research on conflict—is to what degree the mobile phone revolution in sub-Saharan Africa is leading to an inversion of the power structure, in which Big Men and other elites are finding themselves facing stronger societal constraints from those who historically have been at the bottom of political networks. Phase 1 was conducted in 2014 around Dar es Salaam in partnership with kidogo kidogo, a social enterprise created to help close the mobile gender gap by providing low-income women with cost-free mobile handsets, and FINCA, a microfinance organization that serves low-income entrepreneurs in Tanzania and other developing countries. 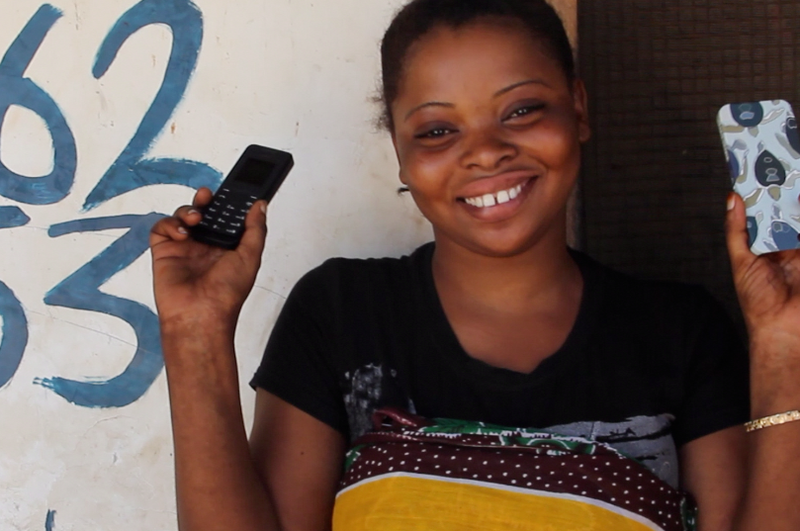 Despite the low statistical power of round 1 (N=54) and a short treatment period (roughly two months between July and September 2014), the random assignment of kidogo kidogo’s phone packages to women who did not own a phone significantly increased beneficiaries’ mobile connectivity and led to improvements in their access to market information, overall business operations and their subjective welfare. No negative effects were seen in terms of the recipients’ family relations or personal security. See full report of pilot study here. One striking implication of our pilot study is it highlights the difference between ownership—in which one individually owns a phone—and access—in which one must borrow or share a phone. Due to the exponential worldwide increase in mobile phone penetration rates, nearly anyone can access this technology. In fact, at baseline nearly all reported being regular (although not daily) mobile phone users, despite not owning a device. But this access was constrained—to use a phone the women had to turn to family or friends to borrow a device. 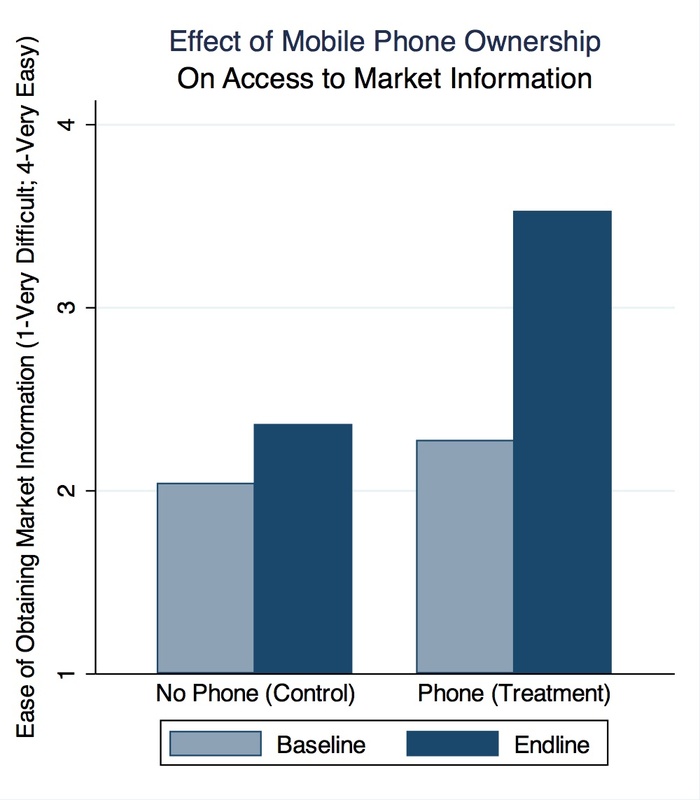 The strong treatment effects in the experiment show that these constraints matter; it denies women the right to use the phone as much as they want and significantly inhibits their effectiveness as traders and small-business owners. Phase 1 was undertaken with generous funding from ITPIR at W&M. Building on phase 1, the second phase of the RCT was undertaken in 2015 and 2016 in partnership with kidogo kidogo, CARE International, Journalists Environmental Association of Tanzania (JET), and Tigo Tanzania. The experiment included 400 women, many of whom are smallholder farmers, in Rufiji and Kilwa, Tanzania. One innovation of this phase is we included an unconditional cash transfer (the equivalent value of the phone package) as a placebo condition. Strikingly, forty percent of those in the cash group ended up buying phones with their cash transfers. Key outcome variables in this phase included uptake and use of digital financial services and different measures of empowerment–social connectedness, economic well-being and independence, individual efficacy, household bargaining. Consistent with existing studies that suggest mobile phone ownership is instrumental to the uptake and use of digital financial services, we find the distribution of the mobile phone package significantly accelerated participants self-reported and actual use of mobile money. Among those in phone group, what accounts for variation in mobile money use? While the sample size of the phone group is relatively small (N=150) and we should treat these findings at suggestive at best, interestingly uptake and usage of mobile money by those in the phone group does not appear to be constrained by age, level of income, prior familiarity with mobile technology, prior use of mobile money, the number of phones in the household, marital status, household bargaining power, or access to electricity. The only factor that has a consistent and significant additive effect on mobile money use is education or literacy. For a briefing on some of the preliminary findings on the pathway from mobile phone ownership to uptake and usage of DFS from phase 2, please see here. Phase 2 has been generously supported by ITPIR at W&M, the Reves Center for International Studies at W&M, and Tigo Tanzania’s Office of Corporate Social Responsibility. Building on the success of Phases 1 and 2, Phase 3 was launched in summer 2016 and involves 2,000 women. Supported by a grant to REPOA from the Bill and Melinda Gates Foundation, the experiment is currently underway in five different regions of Tanzania (Arusha, Mwanza, Tanga, Iringa, and Njombe). Through a full-factorial design, it analyzes the impact of basic mobile phones, smartphones, mobile credit vouchers, and solar-powered chargers on the uptake of digital financial services and on women’s welfare. Data will be collected at midline in March 2017 and again at endline in September 2017.